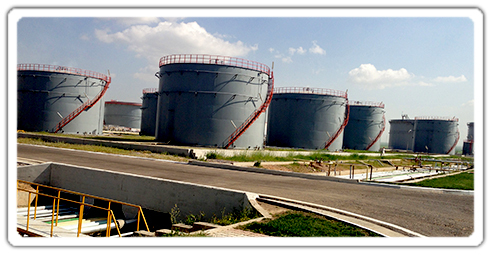 Tank cleaning services is a difficult activity that requires experience, know-how, responsibility and professionalism. 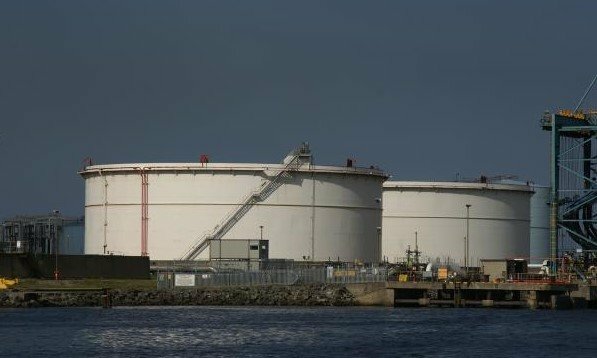 Green Environment provides these complex services for almost all types of tanks, using mobile installations and innovative solutions. Thus, depending on the type and size of the tank and on the requirements of the beneficiary, we use technologies and equipment suitable for each individual operation. Each project is handled with maximum care, with minimal disruption of the technological process, taking into account all risks and therefore streamlining the entire process. 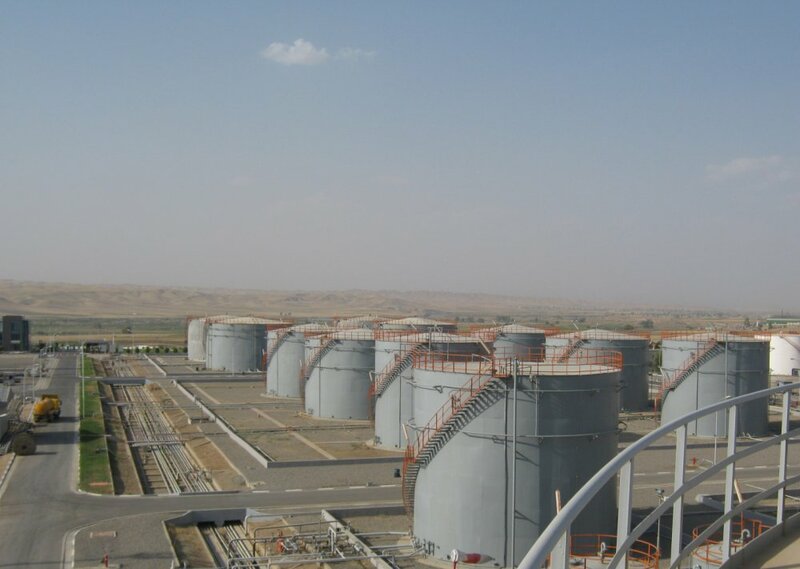 We develop individual strategies adapted to the environmental conditions and the specificity of each project, based on a team with experience and proper technological equipment. 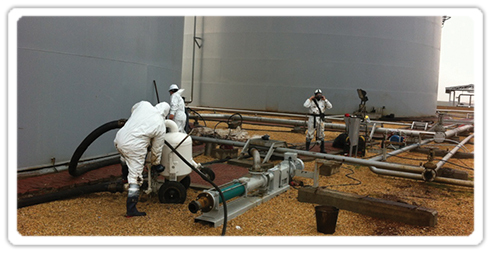 Green Environment provides manual cleaning (MC) services based on specially trained manpower which is assigned to clean and remove remaining residues from inside the tank, our personnel wearing specific protection equipment (PPE). 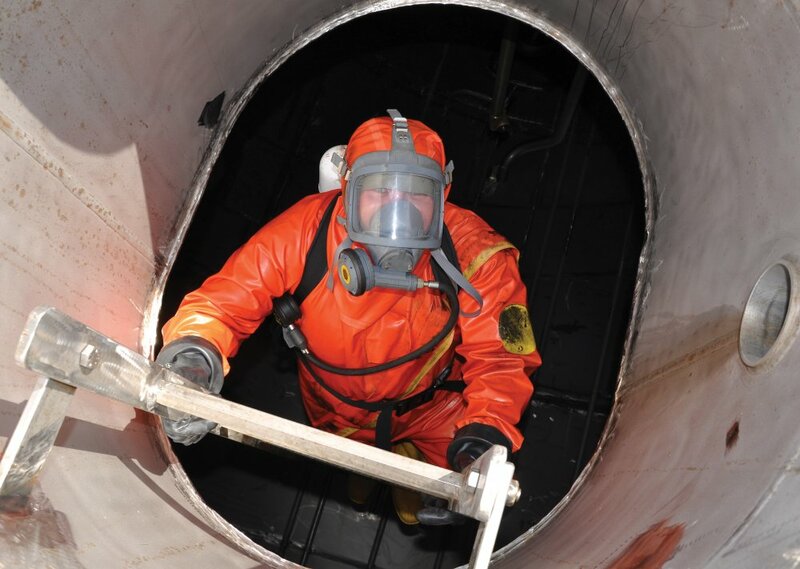 Usually, manual cleaning represents a first stage for an interior tank inspection or it may be performed for a non destructive tank testing. 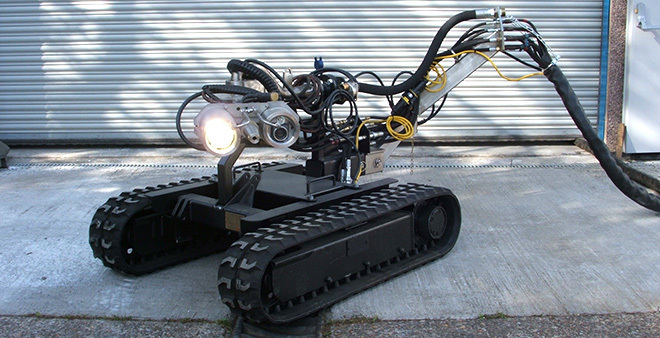 Green Environment used Semi-automatic Tank Cleaning (STC) service consist on using a remote controlled track based vehicle which is equipped with a cleaning canon and a video camera. The latter sending an all-time available image transmission to the operator in real time from individual location, ensuring an easier orientation and to supervise and increase the operation process of the cleaning canon. 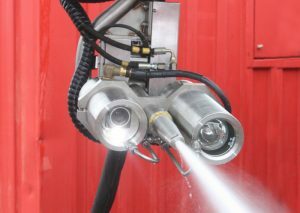 The Automatic Tank Cleaning service (ATC) is suitable for either a fixed or a floating tank roof.